On January 24, 2017, Empyrean Throne from Orange County, California, will release their debut album Chaosborne, which was produced and engineered by Mick Kenney. Today we bring you the premiere of an official video for an album track named “Haereticus Stellarum Part II“. Conceptually, the album “tells the story of a hapless Templar knight in medieval Europe and his subsequent decent into the realm of Chaos”. In its sound, it powerfully combines a variety of ingredients, including orchestral and cello music — and they are on full display in the song and video we’re presenting today. 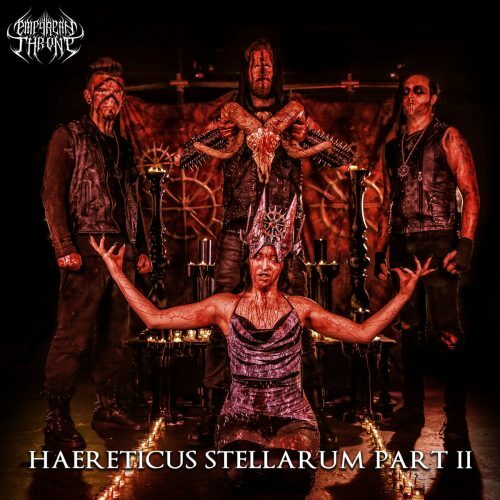 “Haereticus Stellarum Part II” conveys the ominous solemnity of a ritual ceremony, the savagery of a demonic assault, and the infernal grandeur of a great beast rising in power. It blends the weight and harsh roars of death metal, the throat-tearing snarls and slashing riffs of black metal, and symphonic accents that lend the music an element of dark majesty. 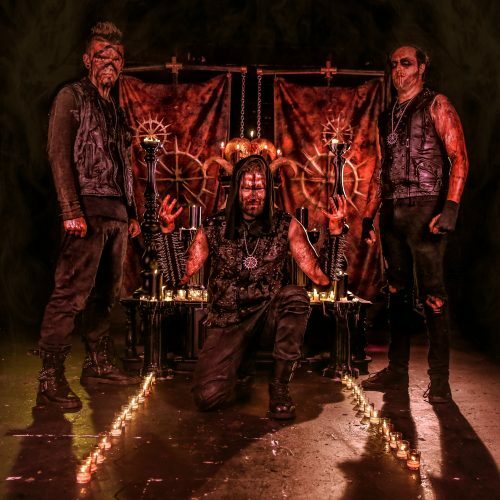 Visions of Behemoth and Dimmu Borgir may pass before your eyes as you listen, and watch. Sounding awesome. Thanks for the introduction. Gonna have to make a note of this. I presume it’ll be an independent release? Yes, that’s the plan for at least the initial release. Glad you like it.